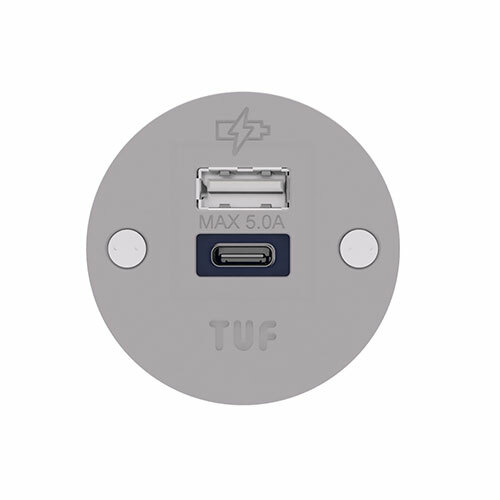 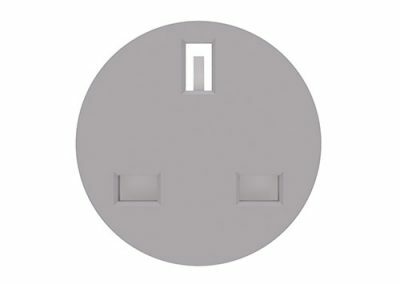 Main body – white or black , Front bezel – white, black or painted, Socket fascia – grey or black, (Nema 5-15R –black only) Gooseneck and base cover available in chrome plated (Standard POSE) or black (Short POSE) Cable –white (not 14AWG) or black,. 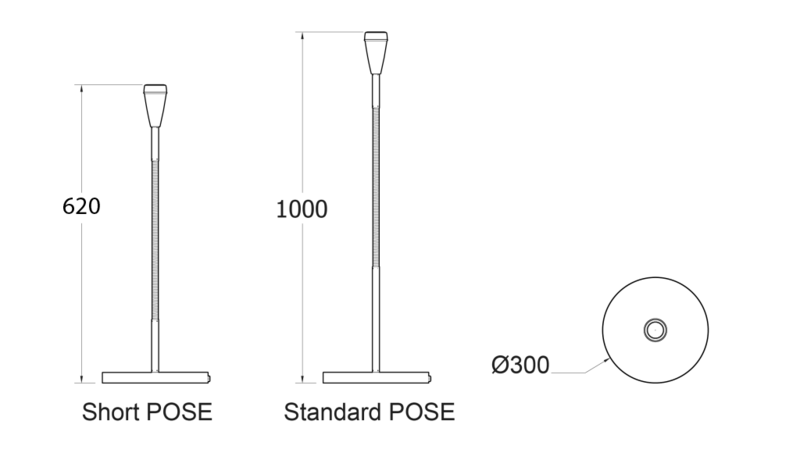 When angled towards the user, Short POSE is approximately 442mm tall and Standard POSE is approximately 885mm tall. 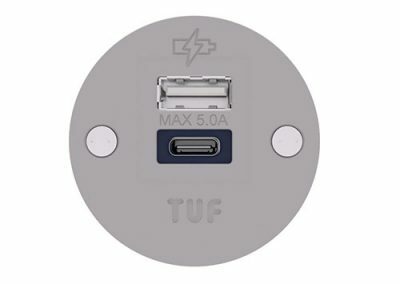 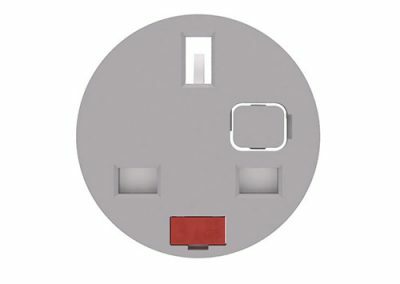 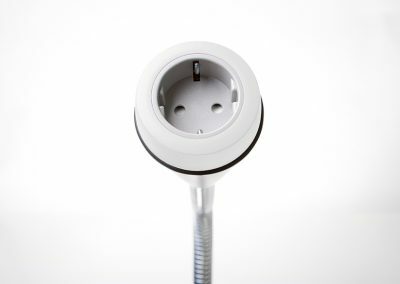 Standard POSE comprises a white or black “sparked finish” polycarbonate power module with black or grey sockets, attached to a chrome gooseneck and base. 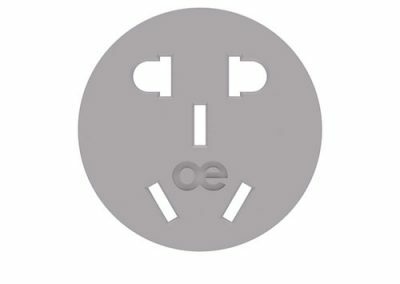 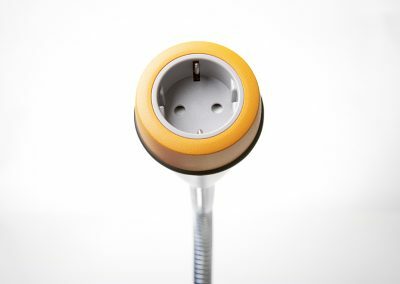 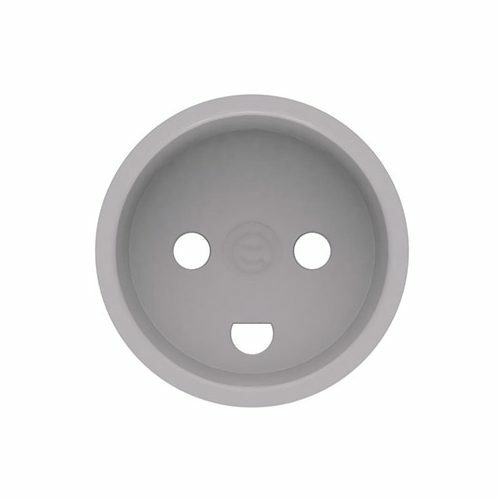 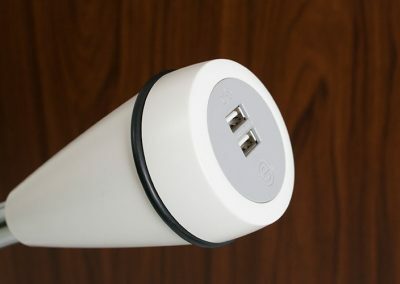 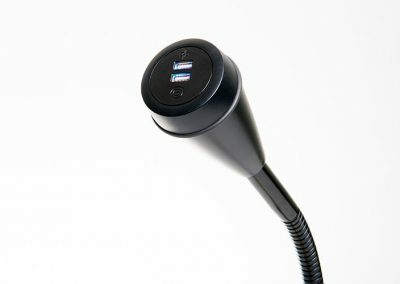 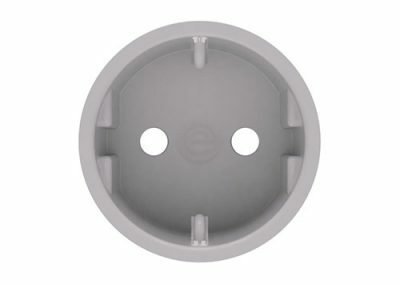 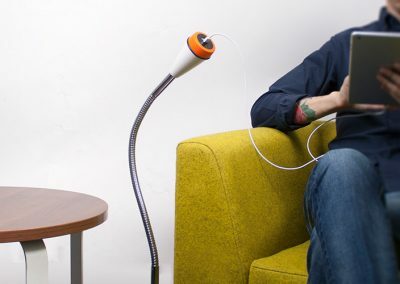 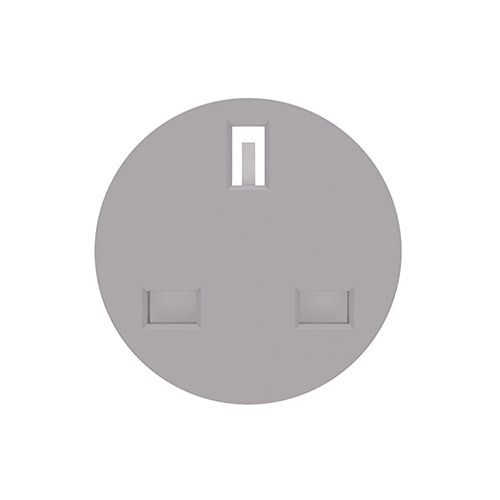 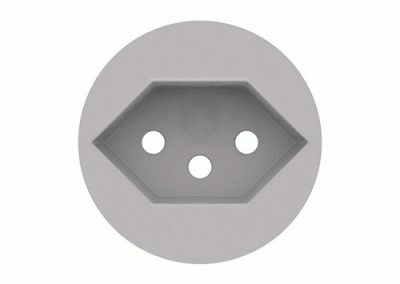 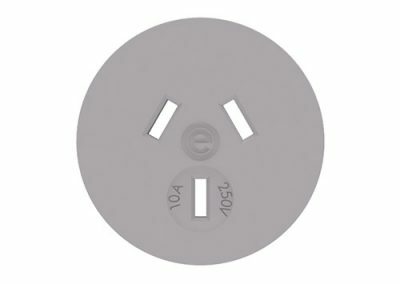 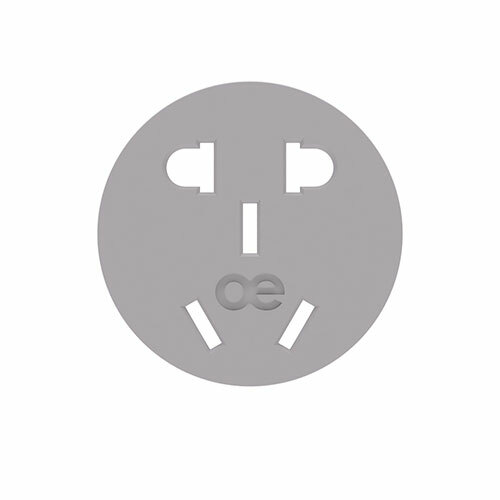 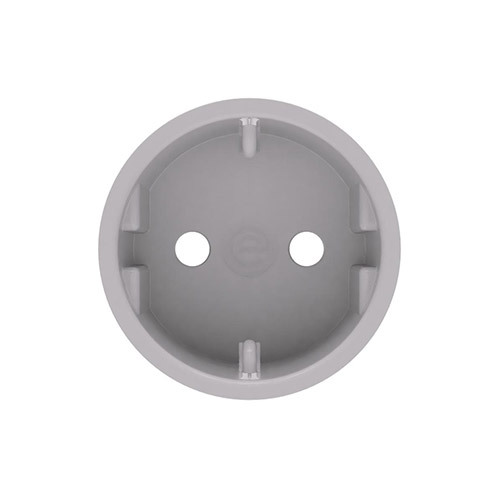 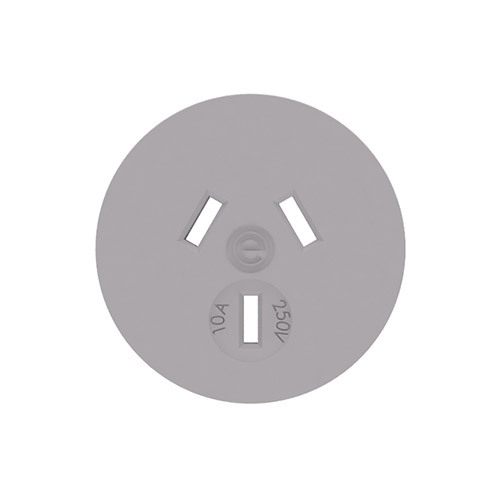 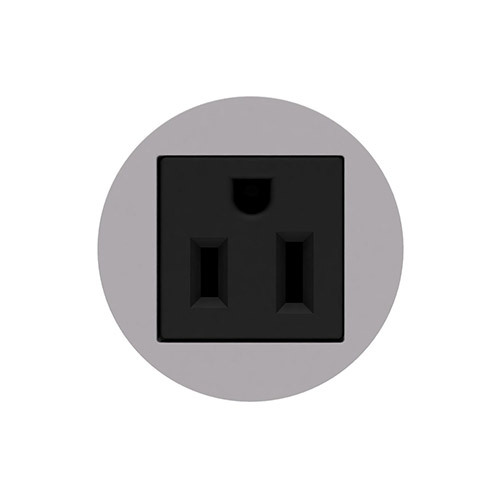 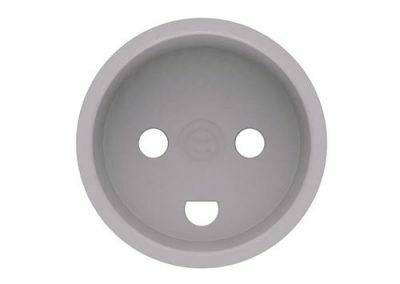 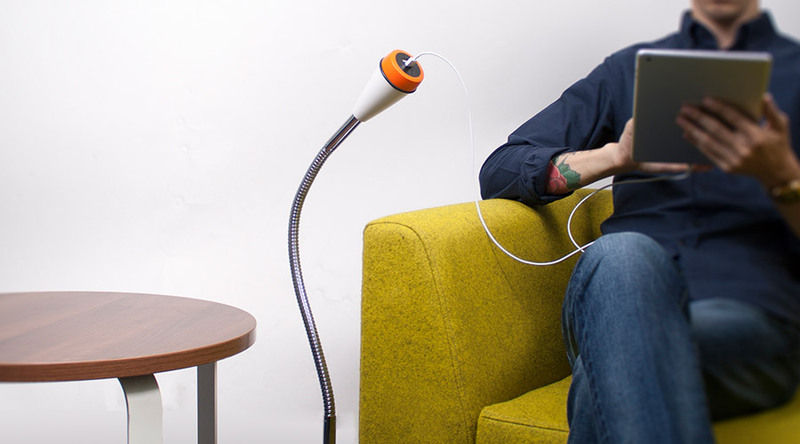 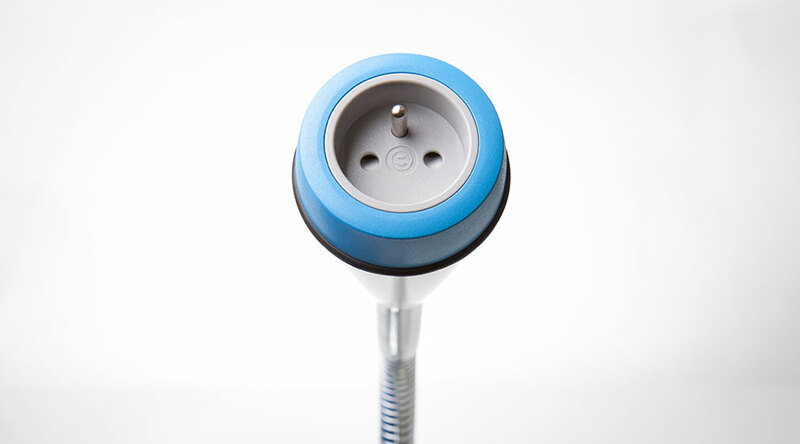 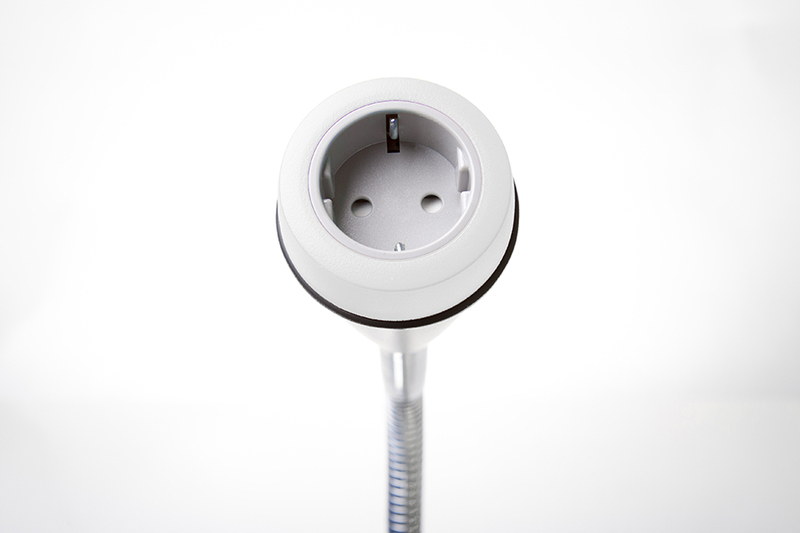 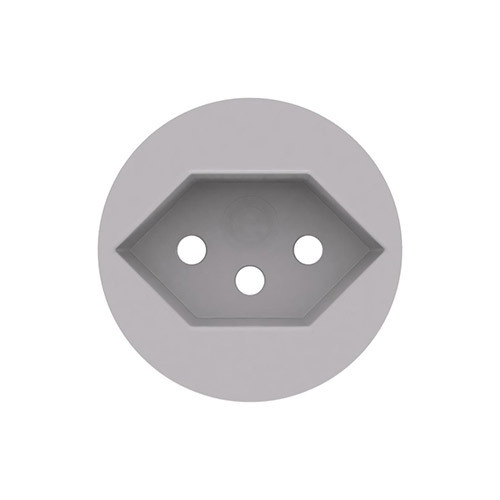 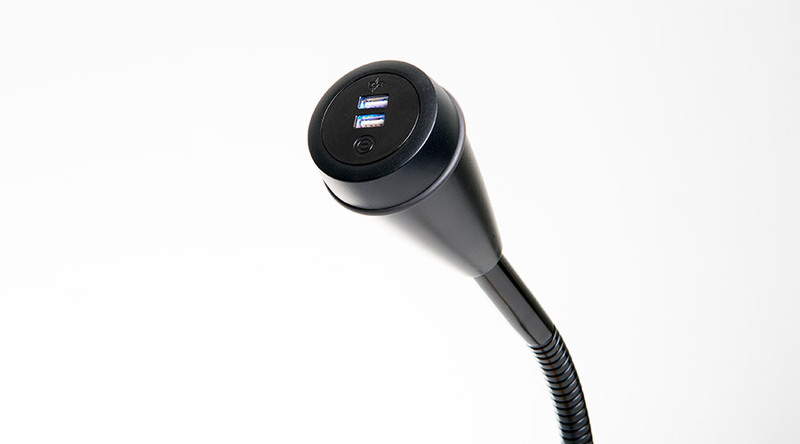 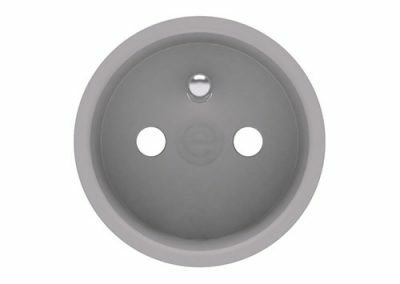 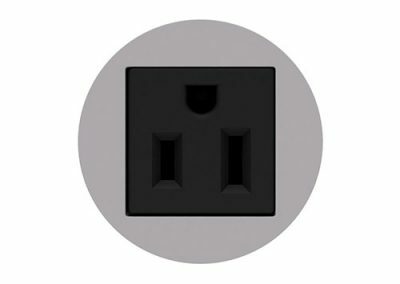 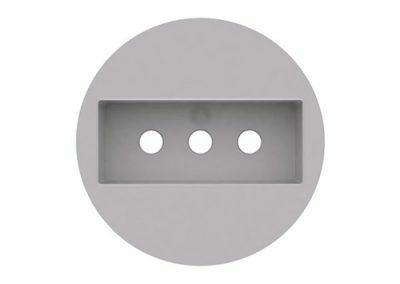 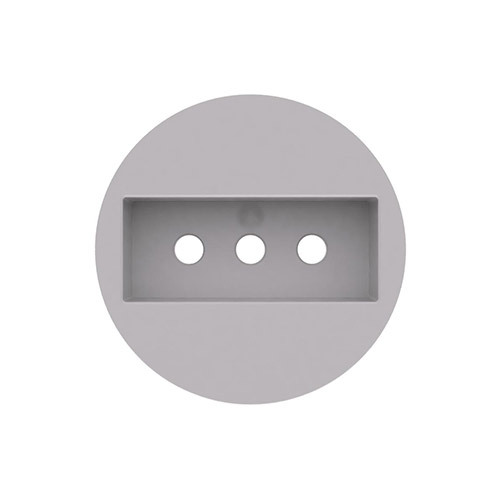 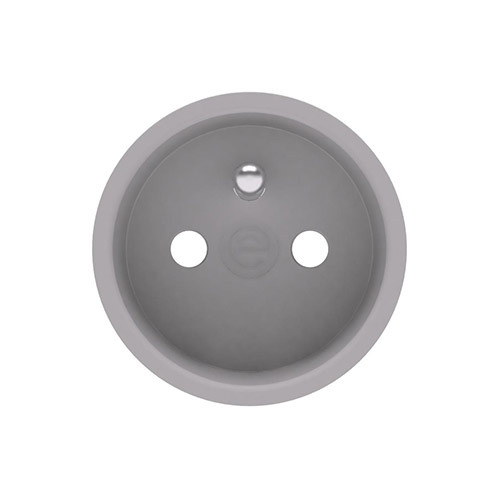 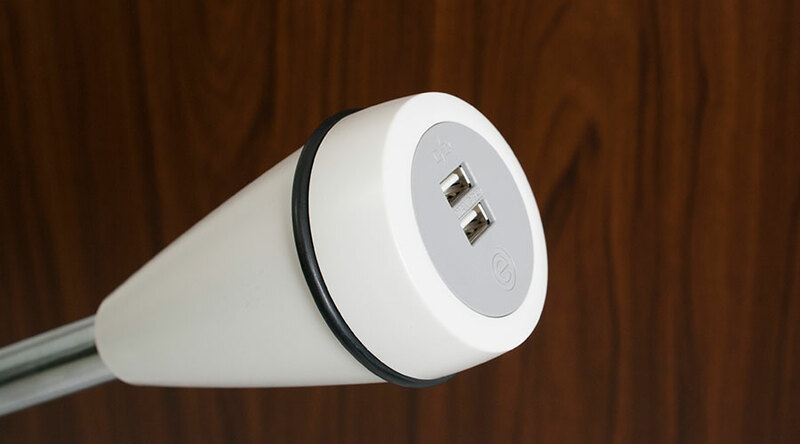 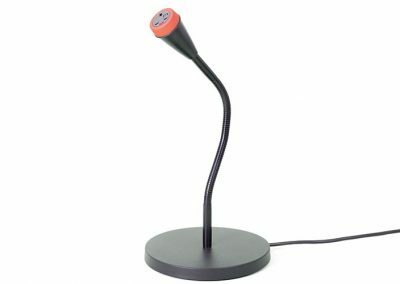 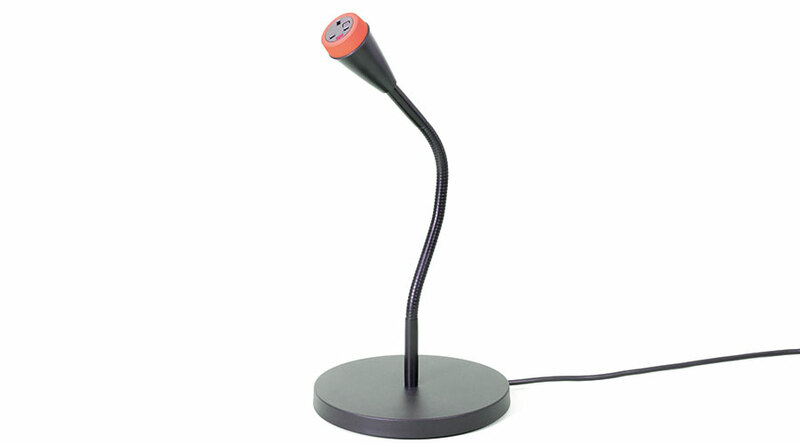 Short POSE comprises a white or black “sparked finish” polycarbonate power module with black or grey sockets, attached to a black gooseneck and base. 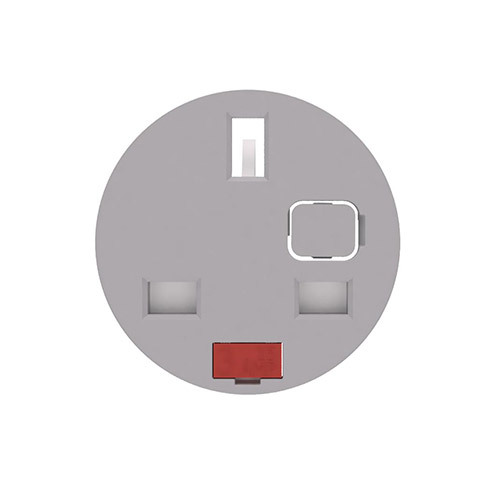 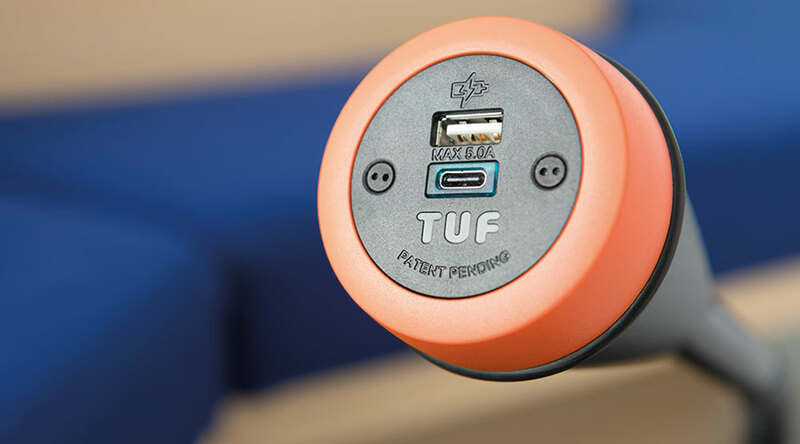 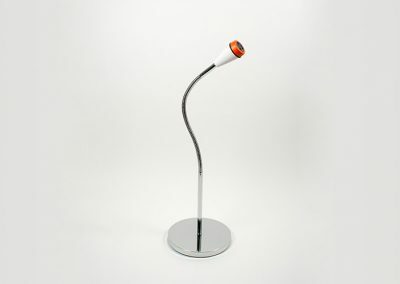 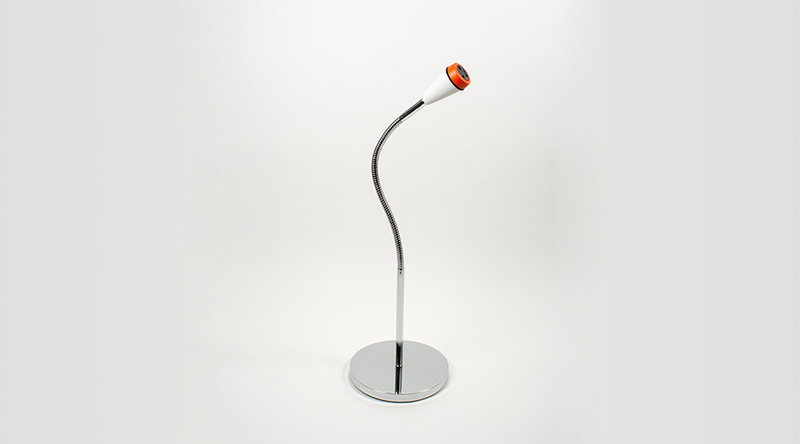 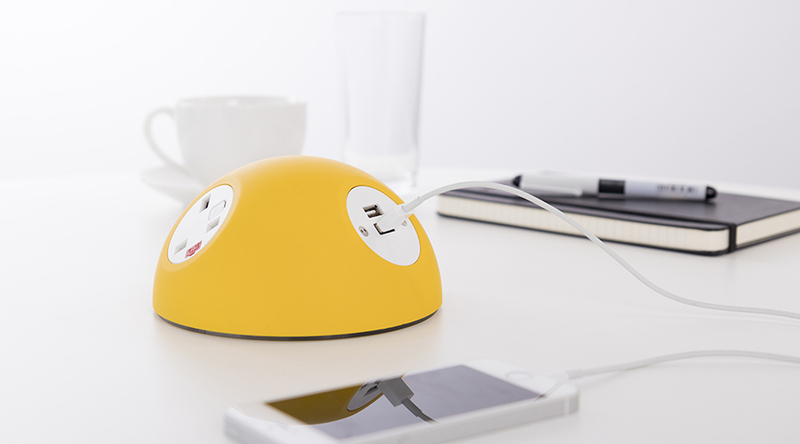 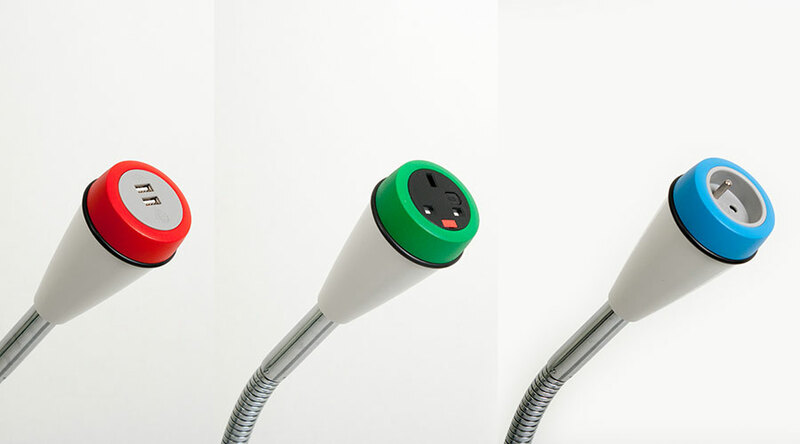 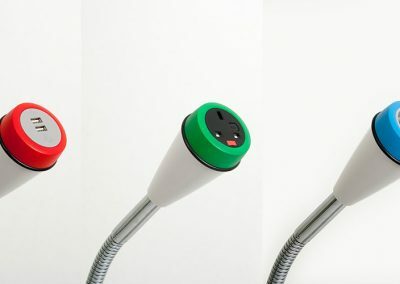 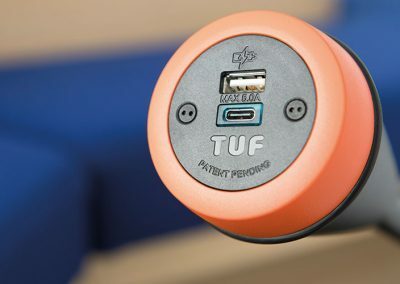 The socket bezel can be painted in a range of 8 vibrant colours or the RAL colour of your choice.